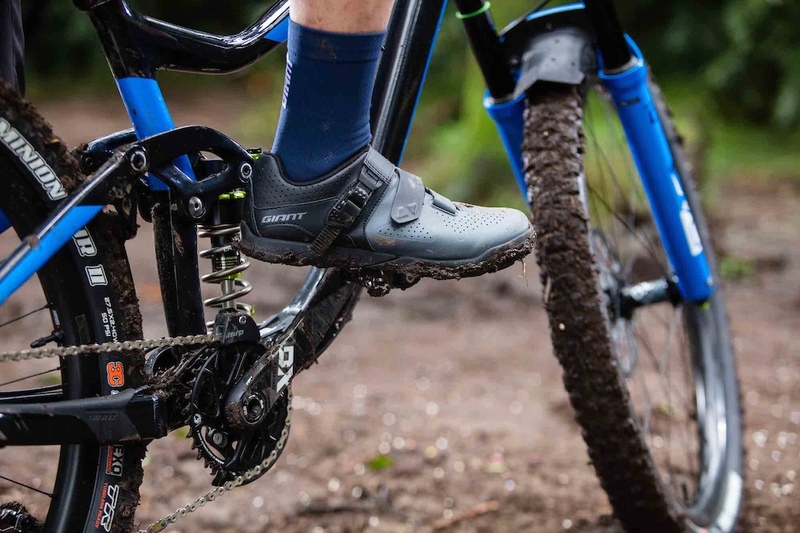 Deriving from the original Shuttle DH clip shoe, the all-new Shuttle Flat is the first shoe that Giant has made specifically for flat pedal riding. 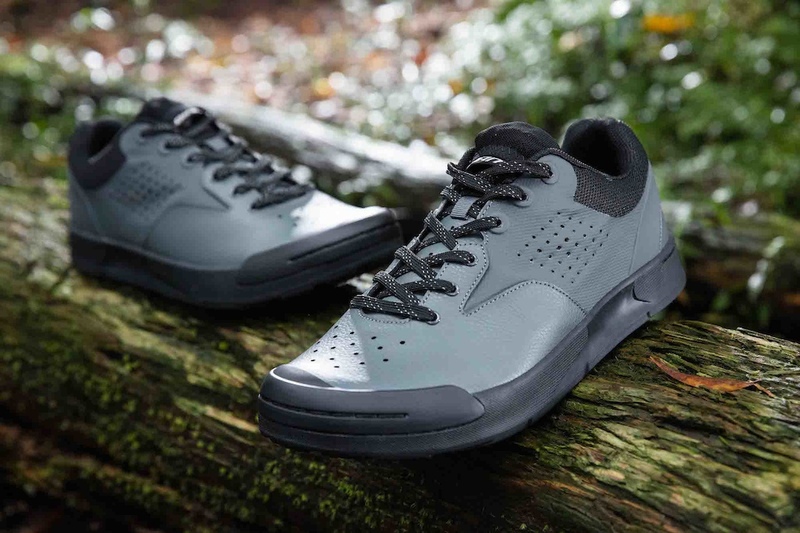 It’s designed to be a versatile shoe that is appropriate for everything from aggressive DH rides to daily trail rides, but is comfortable enough that you’ll keep wearing it for post-ride beers or to do trail maintenance. The shoe uses Giant’s GRIPR rubber in the pedal contact area and has a more resilient rubber in the heel and toe area for added durability, along with a molded TPU toe guard. There are two men’s colors and a women’s color. 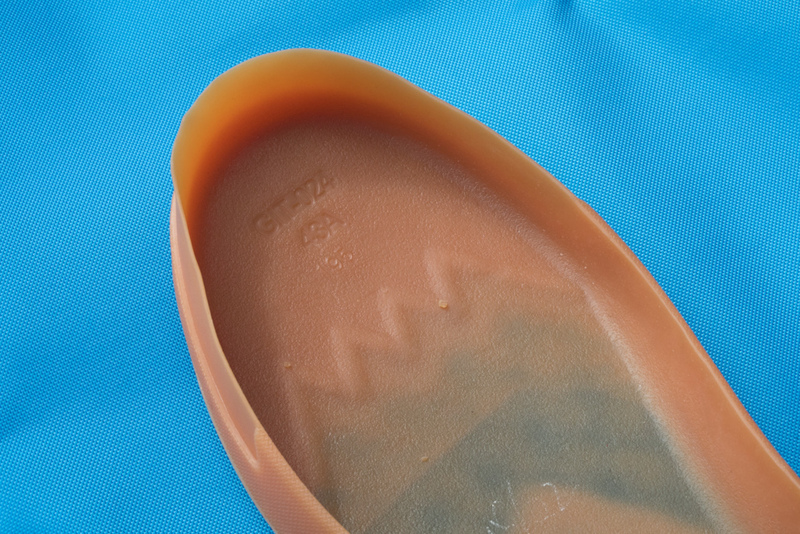 The padding is in the shoe’s insole. 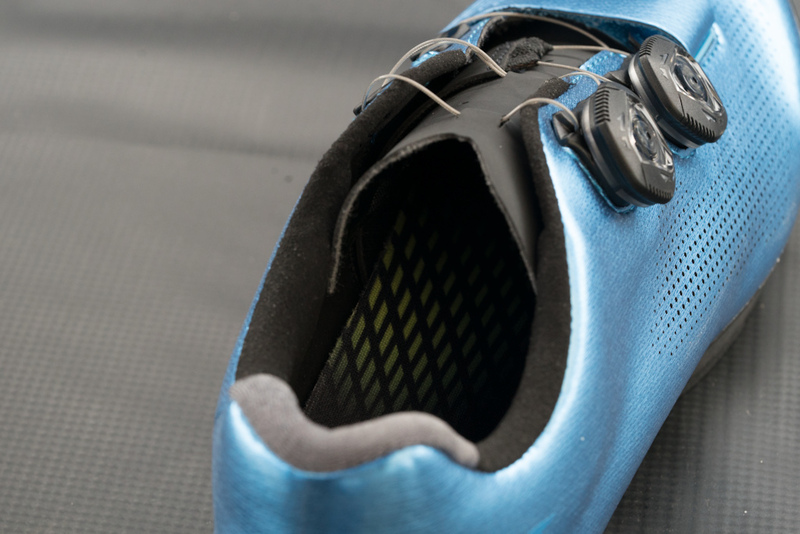 Thicker than traditional insoles provide extra cushioning for long rides or hard landings. Giant ambassador Adam Craig was closely involved in the creation of the shoe. 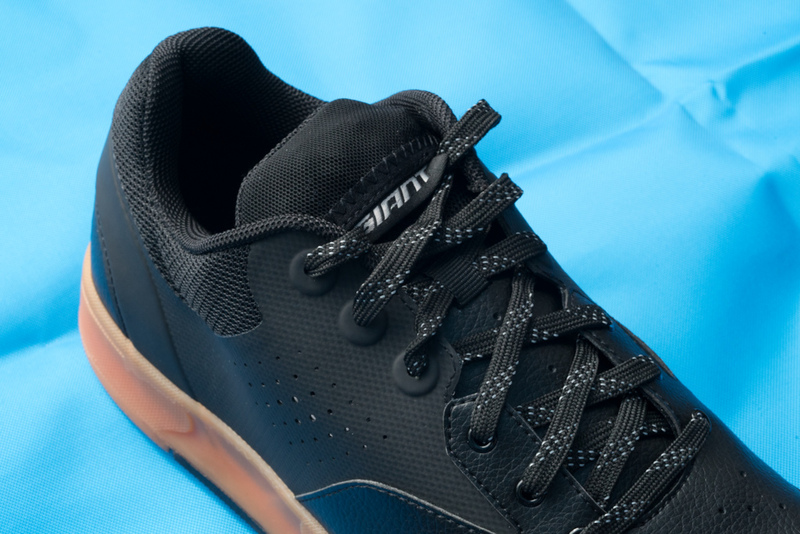 Giant doesn’t claim that the Shuttle Flat shoe is grippier than other brands, but they do believe their dual-density rubber cup sole is more resistant to wear and tear and less likely to become heavy when saturated in water. 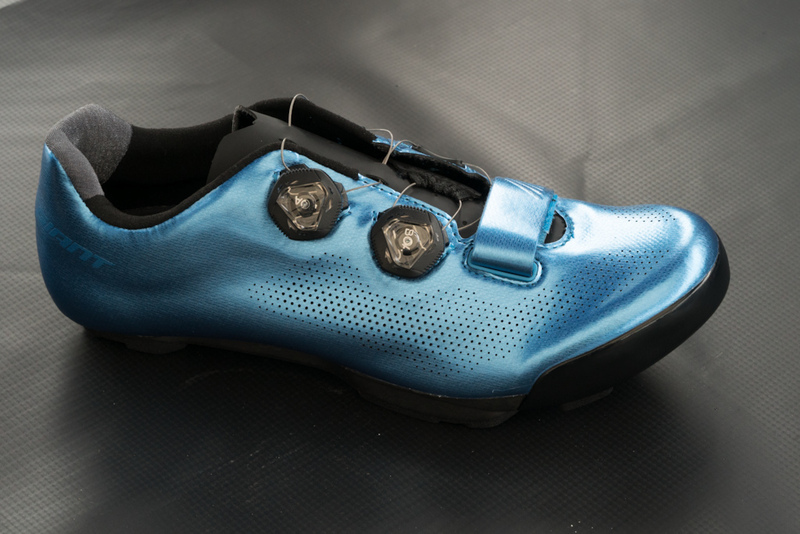 The shoe is hydrophobic, and Giant’s team says the shoe will gain a maximum of 100g of water weight. They also noted that the shoe won’t leave black scuffs on the floor when you come home. 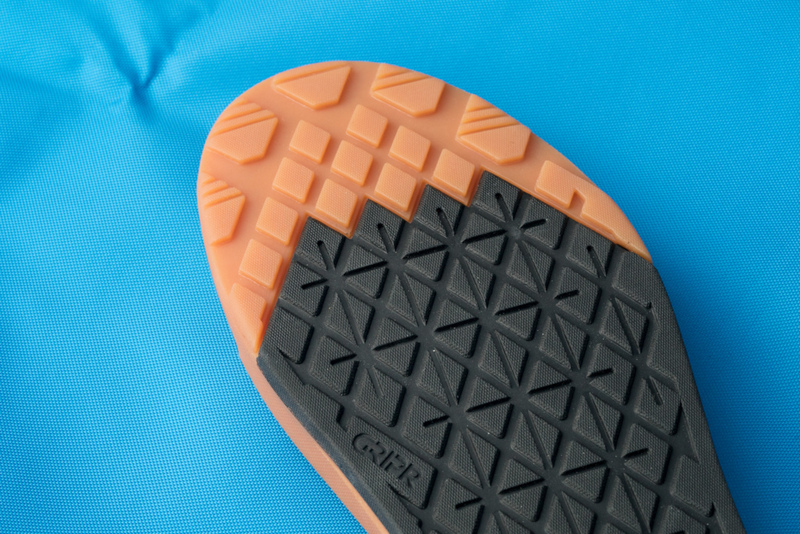 The sole of the Shuttle Flat is made with GRIPR rubber on the pedal contact area and a different abrasion resistant rubber in the heel and toe. 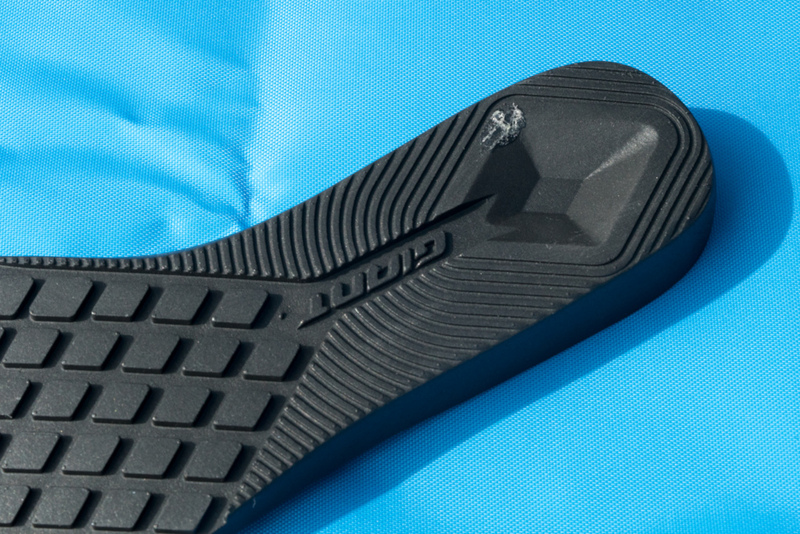 Injection molded TPU toe guard with heavy stitching for extra protection. 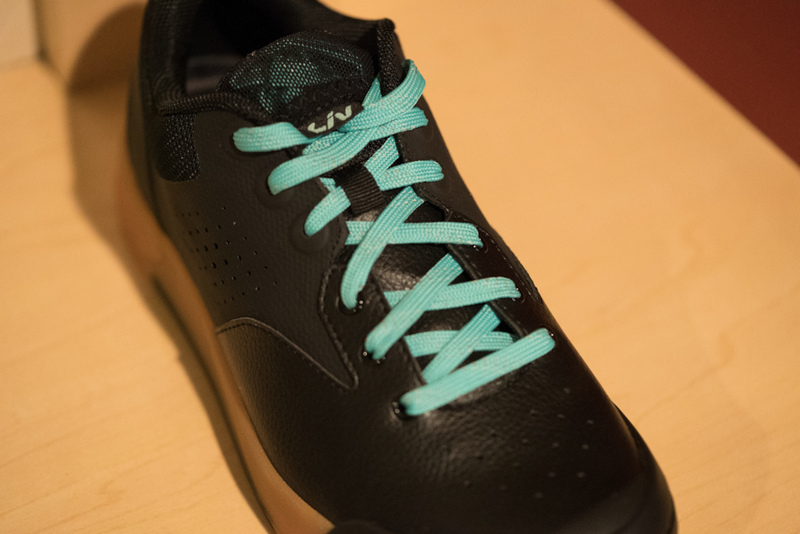 The shoe has reflective laces with a stretch mesh lace pocket for easy storage on the top of the tongue. 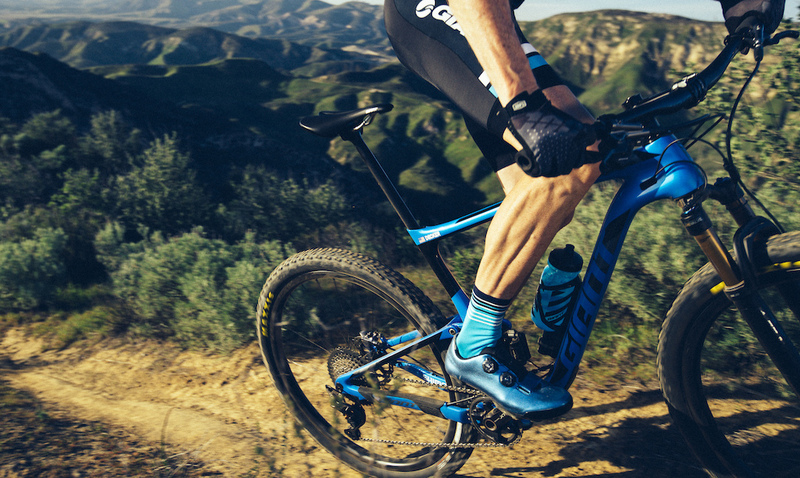 The Charge Pro is Giant’s top of the line cross-country, cyclocross, and gravel race shoe. It is an evolution of the Charge shoe that has been in their line for some time now. 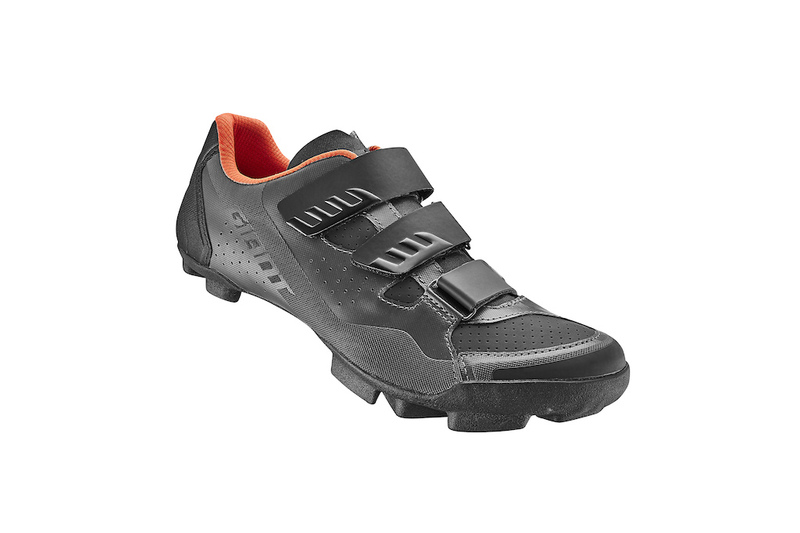 Last year, Giant introduced their ‘Motion Efficiency System’ in their Surge Pro road shoe and has now moved the technology into their mountain line with what they call MES 2.0. The rubber-covered ‘ExoBeam’ is a dual-beam design that combines stiffness in the forefoot, where most of a rider’s power is applied, with flex zones that are said to reduce tension and strain in the lower leg by allowing the foot to move in a more natural way. 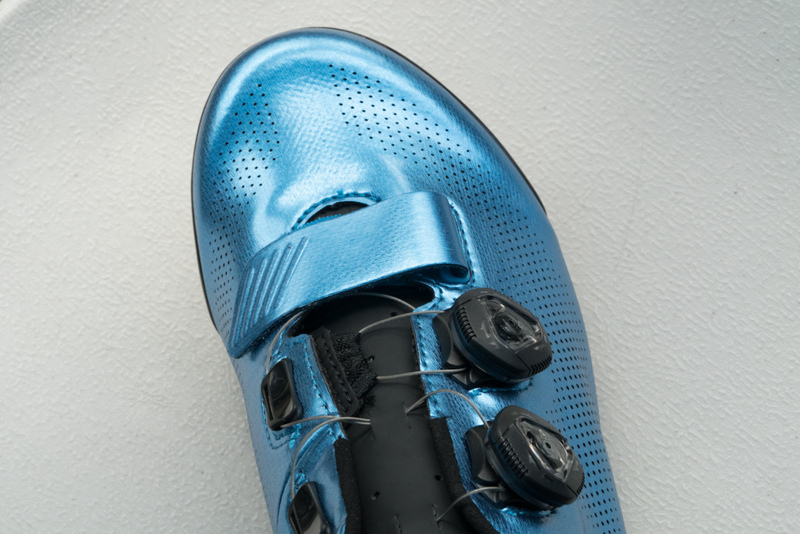 The dual beam also aims to offer more stability and traction when the rider is unclipped from the pedal or walking. The ExoWrap featured on the Charge Pro and Elite shoe goes under the sole of the shoe and has a dedicated BOA system to secure it. While most shoe enclosures simply pull the foot down toward the sole, Giant’s ExoWrap additionally supports the foot by also pulling up. With a supported arch, Giant claims you may not need to even need to run orthotics anymore for those who find themselves often swapping insoles in shoes. Reinforced high-density, water-resistant upper with laser cut micro-perforations for low weight and increased ventilation. The carbon ExoBeam plate features a rubber covered dual beam design. Motion Efficiency System: Combines a stiff pedaling platform with just enough torsional flex to reduce pressure and strain in the lower leg. Giant claims the result is a more natural foot movement during the pedal stroke to optimize comfort, power transfer and efficiency. 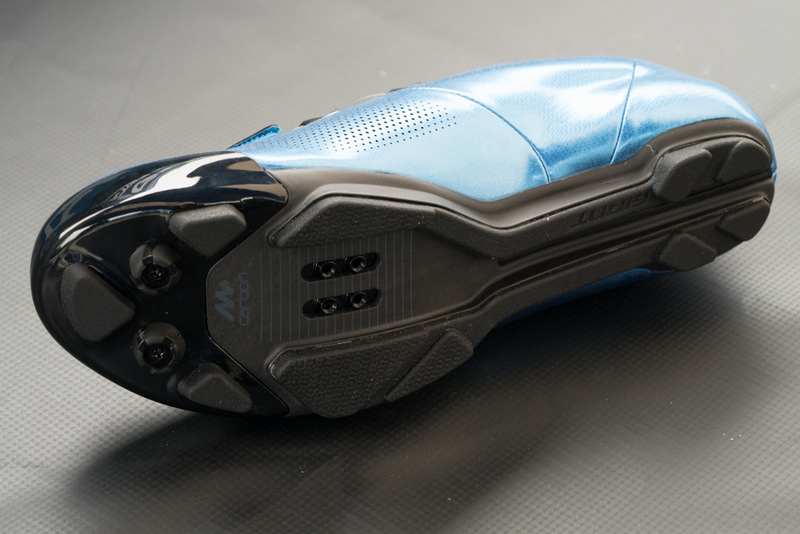 Dual ExoBeam with full rubber outsole: The Charge Pro’s redesigned 100% long-fiber carbon ExoBeam plate features a full rubber covered dual beam design, said to offer secure mid-foot contact on the pedal while un-clipped without sacrificing torsional flexibility, stiffness, or power transfer while pedaling. Molded toe guard with double secure clear inserts: The TPU toe guard protects toes and features removable double secure cleat inserts for traction off-bike. Secure fit heel: The “sharkskin” heel cup is ergonomically designed to follow the shape of a rider’s foot and provide a no-slip fit. The ExoWrap goes under the sole of the shoe and has a dedicated BOA. This means that when you tighten the shoe, it doesn’t just compress your foot down but it also pulls it up. The reversed forefoot strap goes through the line. The Charge Elite which has the same features as the Charge Pro but features a carbon/glass fiber composite ExoBeam plate instead of 100% carbon. Other new and updated off-road models to complement the Shuttle Flat and the Charge series include the Line, Transmit, and Flux for trail, enduro, park, and DH riding. The Line enduro shoe introduced two years ago now has a new buckle for increased reliability and a new grippier sole. The Transmit is made for aspiring off-road riders and features much of the same MES technology as the Charge series including the ExoBeam plate. The closure is designed with a protected ratchet buckle and reversed front strap for a secure and comfortable fit. The Flux is designed as an entry-level off-road shoe that combines the ExoBeam technology with a two-strap closure.